Five years ago, on 23 March 2014, news of a deadly Ebola outbreak in west Africa shook the world. Liberia was one of the countries worst hit. At least 10,675 people were infected, 4,809 died, and an already weak health system came under immense strain. Today the country is rebuilding this system. 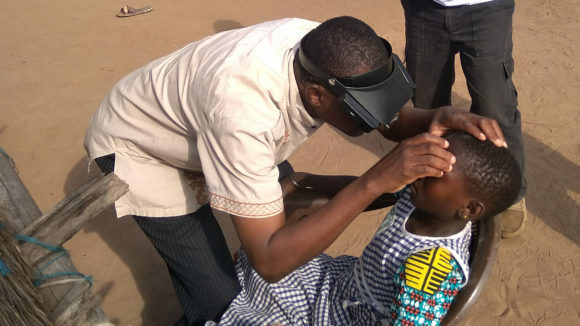 In November 2018 a new eye health clinic opened in Phebe in northern Liberia; an integrated deworming and eye health programme has been launched in schools; and a renewed push has taken place to provide much-needed treatment for river blindness. Lincoln Gankpala, a health technician from the Liberian Ministry of Health, is on the front line of the river blindness treatment programmes organised by Sightsavers, in partnership with the Liberian Ministry of Health and funded by the IZUMI Foundation. 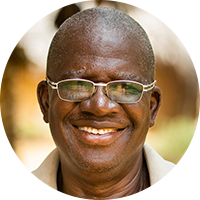 Here he shares his experience of treating river blindness before, during and after the Ebola outbreak, and explains how stamping out this devastating disease is once again top of the country’s agenda. 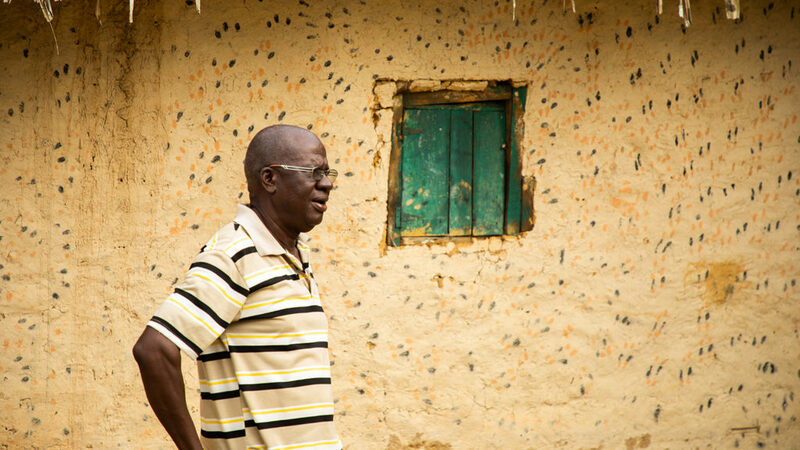 “Five years ago, I heard the news about the Ebola outbreak. I remember where I was – most of us in Liberia do. 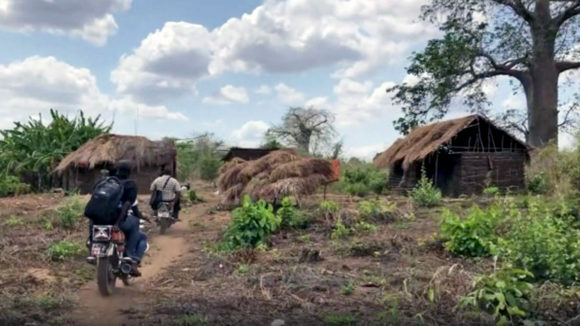 I was out in a village in the bush examining and treating people for river blindness, which is spread by the bite of black flies. The worst thing about river blindness is it can make people blind. I remember one village where more than five people had gone blind. It also causes skin irritation and pain: I have seen people scratching skin until they bleed. 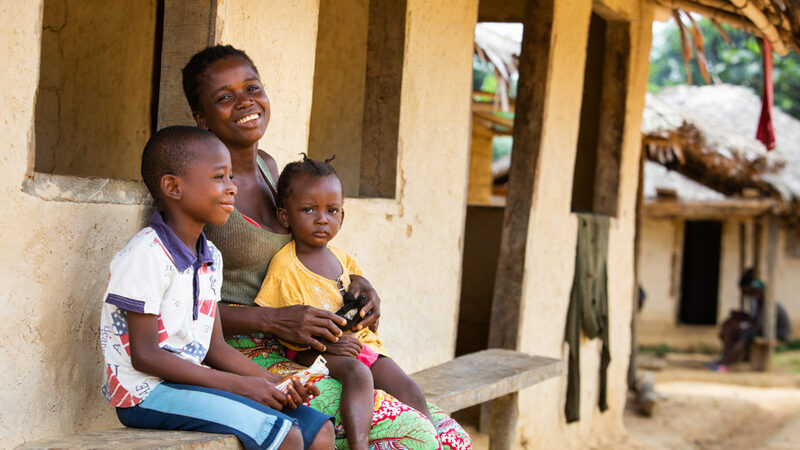 When we heard the news about the Ebola outbreak, we stopped everything we were doing – I knew immediately that we had to. No one could work, even though our patients needed the treatment we were giving them. We were afraid because we knew what Ebola was. 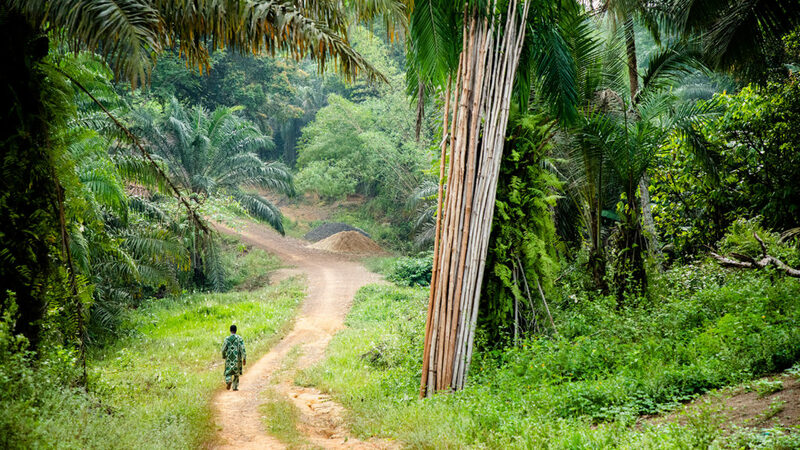 Examining people for river blindness means dealing with blood, injections and medical tests. People could get infected and we couldn’t take those kinds of risks. It feels good now, five years later, to be treating people again. 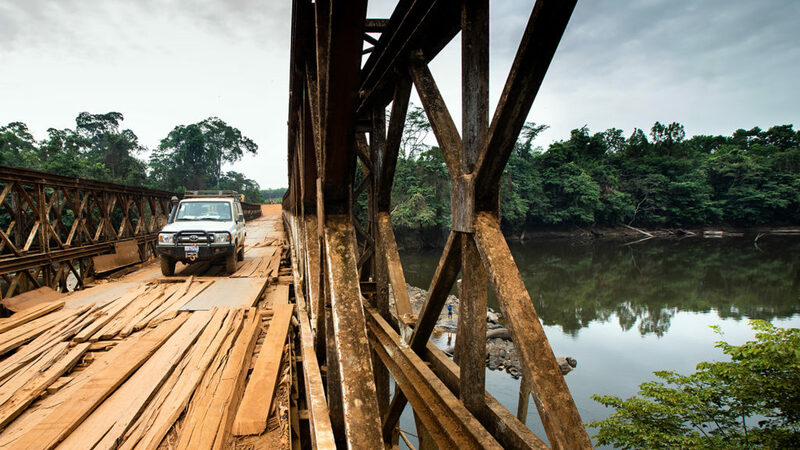 Last weekend I was in the Rivercess region – a four hour-drive on remote roads southwest from the capital, Monrovia – which had high river blindness numbers. There I met Sia Tamba [pictured below], a mother who had been diagnosed with river blindness and was worried her children may be infected. She was delighted when her eight-year-old son Solmo tested negative. Such stories show that the treatment is working, and today children no longer need to suffer as their parents and grandparents did. I saw many people suffer from Ebola – including my aunt – in Thinker Village near Monrovia, where I live. It was a terrible time. We were constantly scared someone might be sick, and that we couldn’t help them. After the first dangers past, it took time for us to get close to each other again – everyone was afraid. When my aunt got better we had to replace everything in her house because we were afraid of contamination. We had to burn mattresses and curtains, and make sure everything was new. Along with Sightsavers colleagues, during the outbreak I worked with international medical teams screening for Ebola. Everything had to be cleaned – hospitals, homes, mobile clinics. It was very important that the Ebola triage was followed. We had to go through everything time and time again so there was no risk. Everyone was afraid of that disease when, one year later, we went back to treat river blindness in places like River Cess. 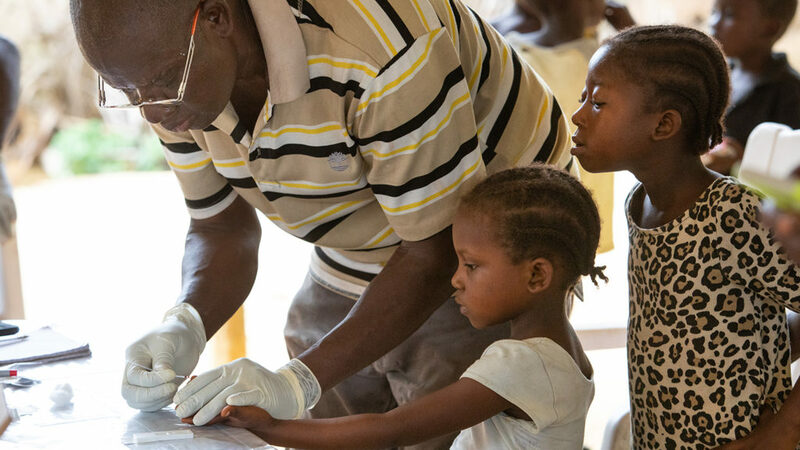 We were rebuilding health systems that had been destroyed, and eye health care was a priority because of an Ebola side effect called uveitis, which causes inflammation of the eye and may affect vision. There were lots of people suffering, needing help, but there was also fear. People were slow to trust. 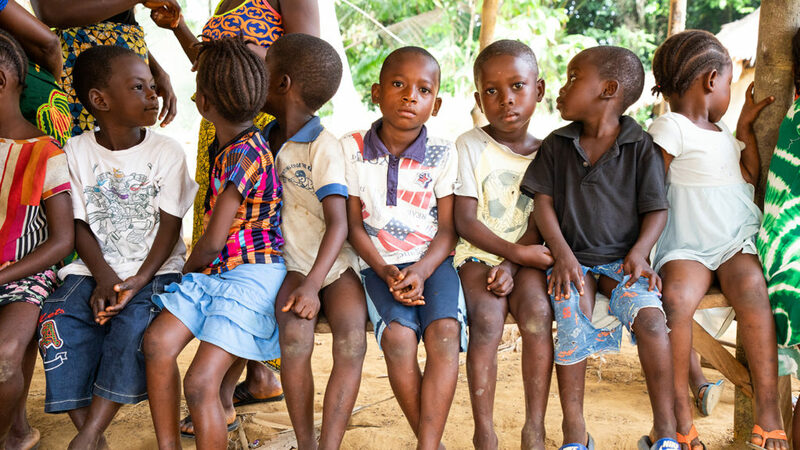 When we returned to the villages to continue our work after Ebola, patients were afraid of us. We had to hold community meetings before confidence could be built. We had to talk about Ebola and the fear of being infected again, and it was good to talk about it. Everyone wanted to be on the safe side. Then eventually, it was safe to continue the work we had started before the outbreak. We treated everyone in areas at risk of river blindness, then went back to test if it had worked. When we came a second time, months later, people knew we were OK. They started to have interest. They trusted us. Lincoln is a health technician from the Liberian Ministry of Health, and works on river blindness treatment projects organised by Sightsavers. This story was originally published by Thompson Reuters Foundation. All images © Sightsavers/John Healey.